from a variety, then search no further than www.K12SchoolSupplies.net. At www.K12SchoolSupplies.net, you will find a variety of bulletin board sets as well as a large selection of other supplies that you may require in order to have a successful year as a teacher and for your students. 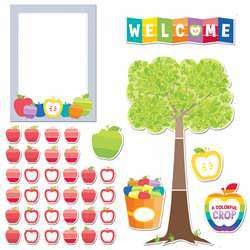 A few of the bulletin board sets that are available K12 School Supplies include animals, calendars, foreign languages, colors, maps, measurement, safety, motivational and several others. In addition to bulletin board sets, you will also discover everything else you need for the year such as arts and crafts, charts and posters, lessons and lesson plans, classroom decorations, language arts, furniture and equipment, games and much more. When you want the best supplies for your students and for yourself, be sure to take a look at K12 School Supplies. For more information about Bulletin Board Sets, please go to www.k12schoolsupplies.net.